Priced at Rs.1,500 ++++, the special menu prepared by the hotel’s South Indian chef and team will include vegetarian and non-vegetarian fare. The buffet will feature over 40 popular dishes from the four provinces of South India – Andhra Pradesh, Karnataka, Kerala and Tamil Nadu –inclusive of soups, salads, rice, vegetarian options, meat dishes, and a large number of desserts, plus live action counters. Speciality dishes include kodi mirchi (chicken with chilli flakes), nandu melagu masala (whole crab cooked in pepper masala), kozhi mappas (chicken with potato curry), mavidikai royyala pulusu (prawn with raw mango curry), mutton sukka (mutton sautéed with onion, pepper and chilli spices) from the non-vegetarian section. Kuchumber salad (mixed vegetable salad), urulai podi thooval (spicy potato), carrot kosumberi (carrot with lentil), sundaka vatthak kozambu (dried wild aubergine with traditional tamarind curry), kai kari thoran (mixed vegetable tempered with mustard and coconut) and battate beja ajadana (potato and cashew fry) are some of the vegetarian dishes that will be available at the buffet. Four types of rice are also part of the menu. Live counters for vanjaram chepa penum veppudu (masala grilled seer fish), kozhi porichathu (chicken fry) and vazhakai bhajji (batter fried raw banana) will prepare these dishes a la minute for guests. 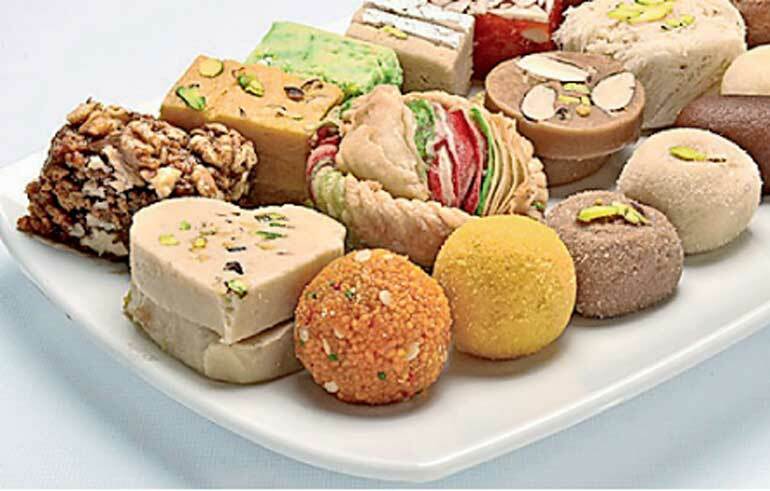 Boondi laddu, cashew halva, gajjar ka hlawa, kova kajjikaya, gulab jamun, sengappu bellam paysam are few from the dessert buffet that will host a wide selection for all to enjoy. Reservations can be made by contacting 011 2497372 or 011 2437437.